The Suomenlinna Church in Finland was built as a Greek Orthodox garrison church for the Russian troops of Suomenlinna sea fortress in 1854 and originally had five onion domes. It was converted into an Evangelical Lutheran church during the 1920s. Its extensive iconography was warehoused by the city of Helsinki, and their current whereabouts are unknown. Today its central dome doubles as a lighthouse making it one of only a few churches in the World that double as a lighthouse. The signal blink is the Morse code for the letter "H" for Helsinki. 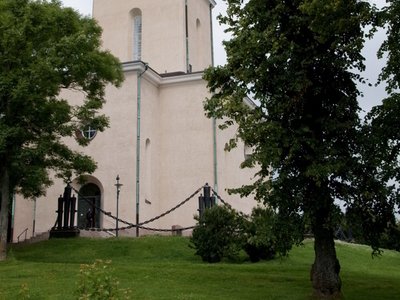 It is a very popular wedding church and one of the first landmarks for people arriving at Helsinki by sea. Here's the our members favorite photos of "Churches in Uusimaa". Upload your photo of Suomenlinna Church!